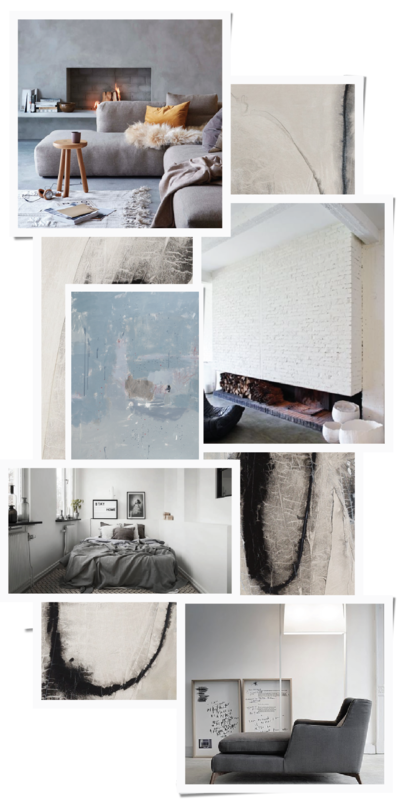 With the temperature dialing down, it seems appropriate to turn to Scandinavia for some interior design inspiration this month. Kids are back to school, life is back to a regular schedule, and the holidays are still a safe distance away. 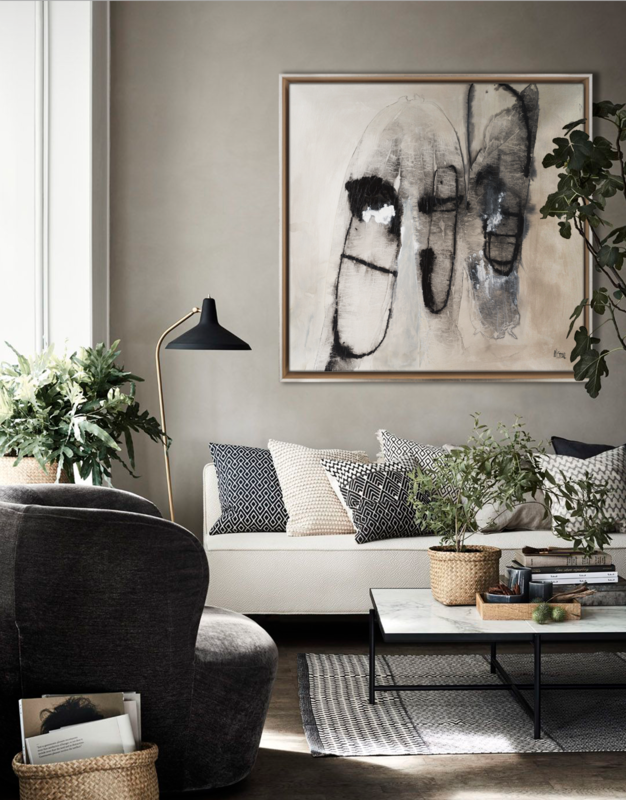 For a sense of calm and even warmth, a Nordic inspired home – filled with layered neutral tones and every shade of grey – is always in style. This neutral living space is rife with texture. Mia Stone’s “Paleo Flora” complements with its organic composition and deep, soaked strokes of black. One can imagine snuggling up underneath a warm blanket with a good book. Simon, “Vacio,” Mixed Media on Canvas, 74 x 72 in. Beatriz Simon’s “Vacio” adds the perfect moment of tranquility in this elevated and secluded living area filled with velvety seating and flooring. 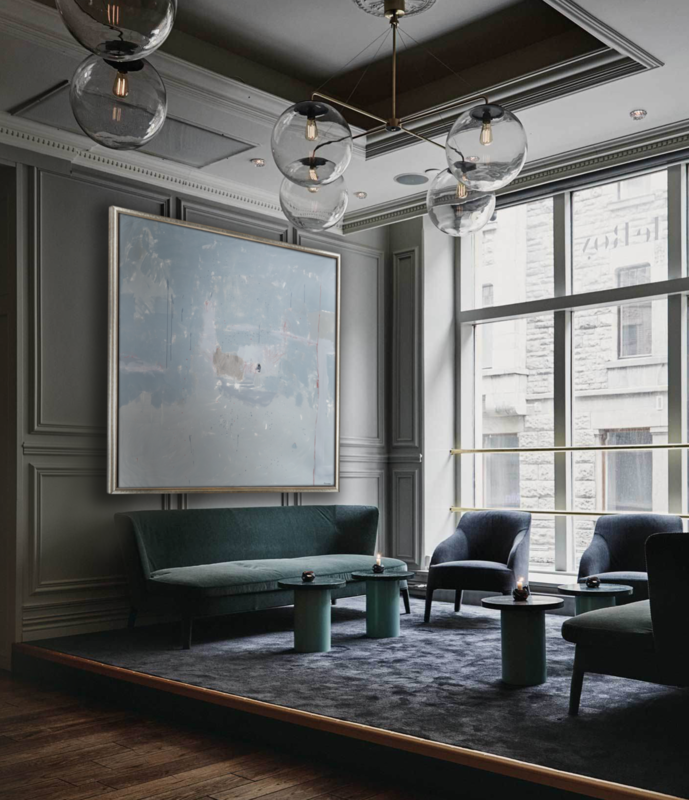 Its shades of blue and grey provide a moment of lightness in an otherwise dramatic urban setting. Seguin, “Geoffroy,” Mixed Media on Canvas, 50 x 42 in. Bathed in neutral shades, this industrial interior calls for punctuation. 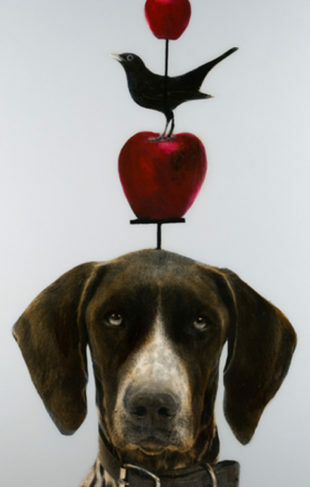 Raphaelle Seguin’s “Geoffrey” prominently commands attention. 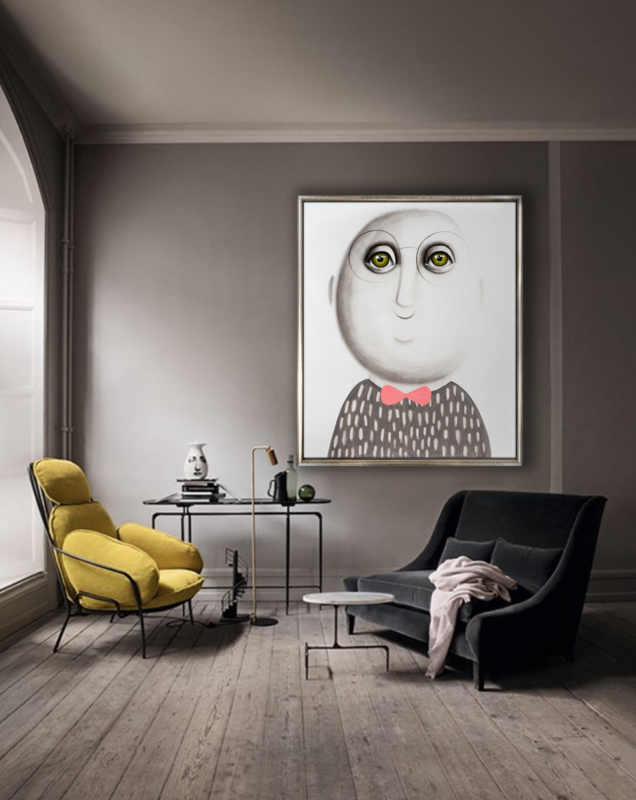 Nostalgic eyes, seemingly drawn from the color of the chartreuse chair and a distinguished pink bowtie cause the painting to stand out. While overall the space feels muted and calm, there is still an undeniable whimsy with such a pairing.